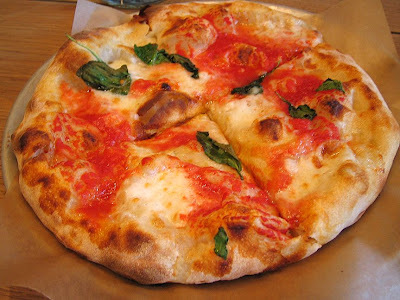 Sebastian Saint - New York City Restaurants: Co.
Who doesn't enjoy a well well-made pizza? Specially if the pizza is made in a specialty oven with quality ingredients.Well, my wife and I are always in the look out for new restaurants when we get that pizza craving. We both enjoy all types of pizza but the Neapolitan style has a special place with us. When we heard about the Co. opening few months ago we quickly added to our "restaurants to try" list. Sign says COMPANY but all other references to the restaurant is as Co. so you go figure it out. This past Sunday when we were taking a walk in Chelsea we decided it was time to go get our pizza from Co. At first we were a bit concerned about waiting for a table because the popularity of this place but we were happy to see that there were bunch of seating available for us once we got there. I guess going there on a Sunday afternoon is a safe choice to get a table without having to wait specially on a Mother's Day (Happy Mother's Day to you all out there. I hope you all had a great day enjoying delicious food with your families). The dining room at the Co. is designed with comfort in mind. Wooden tables and chairs fill the small dining room. Floor to ceiling windows on both sides of the room give an airy feeling to the space. Design and decoration of the room reminded me very much of the chain restaurants of Le Pain Quotidien. There is a small bar area right by the entrance where you can get your glass of wine or an espresso or even your pizza if you don't want to wait for a table. 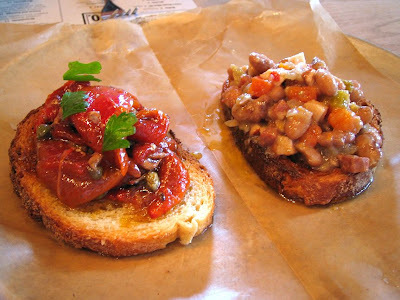 Menu included some nice starters such as the Toasts (at $3 each) which are basically a Bruschettas with four different types of toppings; pinto bean, chicken liver, roasted pepper and roasted eggplant. We tried the pinto bean and the roasted pepper. They do serve these with a hefty amount of topping on the toasted bread, they were both very tasty. 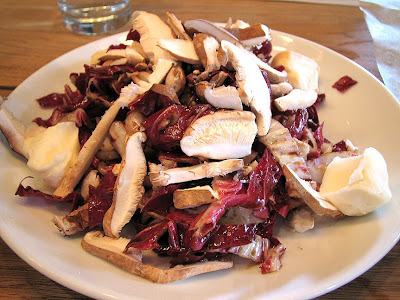 We also had a radicchio salad (for $7) with shiitake mushrooms, taleggio cheese with balsamic and olive oil. There are also cheese and meat options but we left those for our next visit so we would have space for our pizza. When we try a new pizza place I always go with the Margherita pie. I think it is the standard in pizza making; if you can make a good Margherita then you can put whatever topping you want. I ordered the Margherita for $13 and my wife went for the Ham & Cheese pie which has pecorino, gruyere, buffalo mozzarella, prosciutto and caraway for $14. 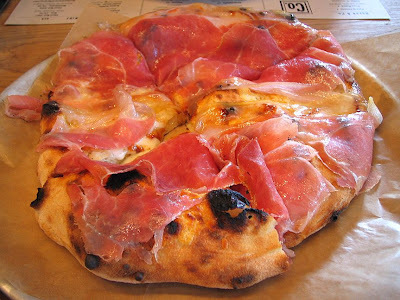 After dining at the Keste Pizza, La Pizza Fresca and Ottimo as often as we do, we started to have certain expectations at new pizza places serve Neapolitan style pizza. Crust at he Co. had that crispiness with the right amount of char but somewhat felt dry compared to others. 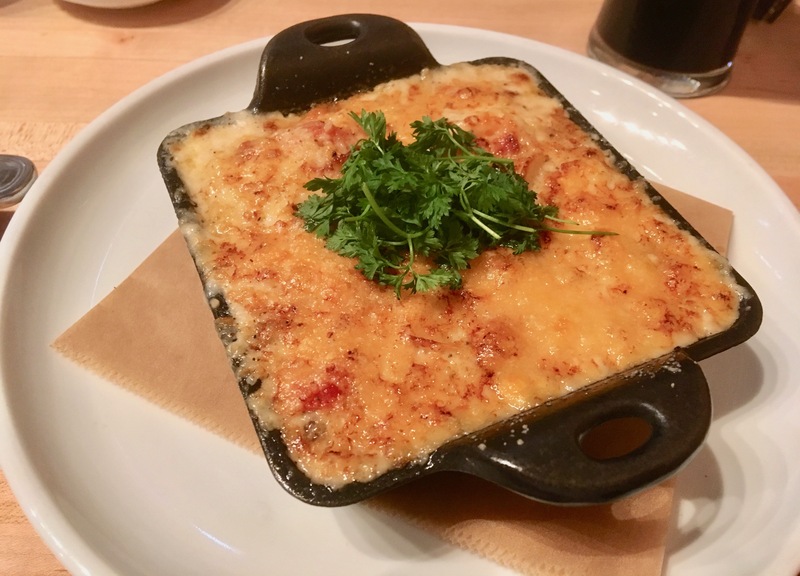 Tomato sauce and cheese topping were both excellent but in my opinion there should have been a little more than it came with. Cheese and tomato sauce were cooked just right. I even enjoyed the slight tarness and acidity of the tomatoe sauce. I don't usually go with a meat topping but I did try a slice from the Ham and Cheese pie and I thought the ham was very fatty and made the pie taste very salty also left an aftertaste in my mouth. We finished our meal with two glasses of the Hennepin beer from Ommegang brewery for $7 each. It's a great beer for a warm Sunday afternoon and it did go nicely with our pies. Overall, we will return for more when we are in the area. I wouldn't call the pizza from Co. an authentic Neapolitan pizza but I am still going to include it as one but a little out-of-the-box. Co. made it to number four of our Neapolitan favorites after La Pizza Fresca, Keste and Ottimo. Ryan Sutton at Bloomberg.com says; "Company, the most un-Google-able eatery of the century, is less a pizzeria, more a bread restaurant that allows pizza to be made with its dough."